These action figures talk, light up, and connect your iOS device, but the game isn't great. After a few years of fevered popularity, the toys-to-life genre is seemingly at a lull. 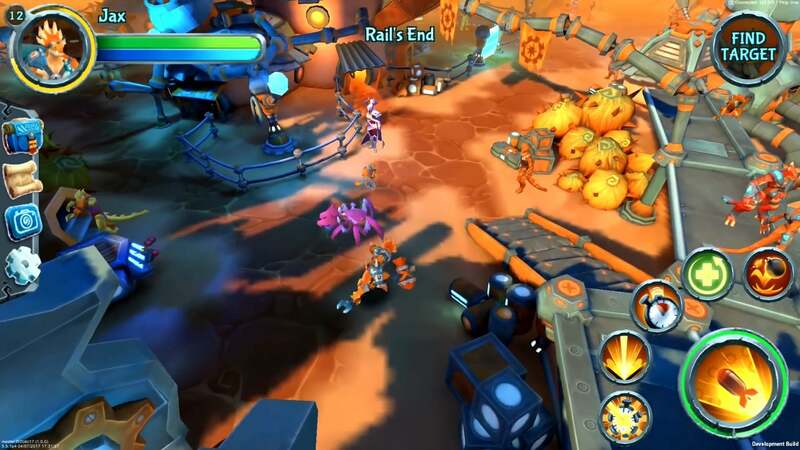 Activision’s huge Skylanders franchise is taking a year off after several annual entries and more than 300 different connected figurines, while Disney Infinity closed up shop last year despite its intriguing mix of Disney, Pixar, and Star Wars worlds and characters. But maybe the issue was the toys themselves: the little plastic statuettes may have looked cool, but they were mostly inanimate vessels for transporting characters into games. Lightseekers is trying to do something a lot more lavish with its new experience, which builds upon the foundation of those earlier entries while putting a lot more “action” into the figures. 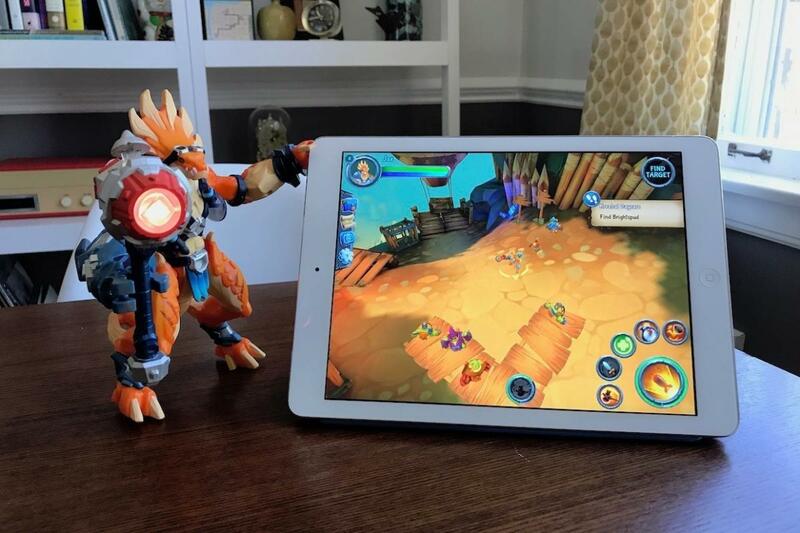 Rolling out to stores now, Lightseekers is an iOS and Android game that can be complemented with large, articulated toys that light up, wield glowing weapons, vibrate, repeat a number of catch phrases, and interact with your device. But in my experience, the toys themselves are more interesting than the actual game you’ll play, which is merely OK.
Lightseekers is a totally new property, unlike those aforementioned spinoffs of existing franchises, and it encompasses a few different elements. First off, it’s a totally free game on the App Store that works with iPad and iPhone alike, and it has no in-app purchases within. But then you can buy the $70 starter packs, each of which comes with a large, Bluetooth-connected action figure, a connectable melee weapon, a charging cable for the battery pack, and a few cards that can be scanned into the game for extra perks. And then, separately, the cards exist as their own full-fledged collectible card game, which is sold in pre-made decks and booster packs, all of which can also be scanned into the game with your device’s camera. Here’s the starter pack with one large action figure and some other goodies. Got it all? It’s clearly an ambitious venture for creator PlayFusion, which brought in more than $227,000 via a Kickstarter campaign last fall to launch the franchise, and has partnered with established toymaker Tomy on the plastic part of the equation. Each toy is nicely detailed and solidly posable. Jax is the orange, lizard-like fighter, and his arms and legs move, the arms bend at the elbow, and you can rotate his head. Better yet, you can snap his Nitro Hammer into either of Jax’s hands, and it’ll glow and vibrate along with him. Meanwhile, water warrior Mari is a bit more cartoonish in style, but has the same kind of posability and various light-up sections of her body, with an Aquadart Crab weapon that plugs into either hand. The toys are pretty premium and feel solidly durable too. Your kids don’t have to be super gentle with them. Plugging the included FusionCore piece brings each figure to life, and it’s also how they connect to the game via Bluetooth. They’re also very chatty: pressing one button on the FusionCore cycles through a number of spoken quips, while the other button cues up weapon sounds, along with lights and vibrations. Also, the figures are motion-sensitive—so if you pick up Jax after he’s been still for a while, he might yell at you to put him back down. Naturally, my four-year-old son loved the toys before I even had a chance to fire up the game. He carried them around, pressed the buttons over and over again, snapped in the weapons, and giggled at the silly phrases and reactions. You might have needed your imagination to fill in the gaps on Skylanders and Disney Infinity toys outside of the game, but the Lightseekers toys do a lot more on their own without even needing a smartphone or tablet. And admittedly, that’s where I enjoyed them the most. 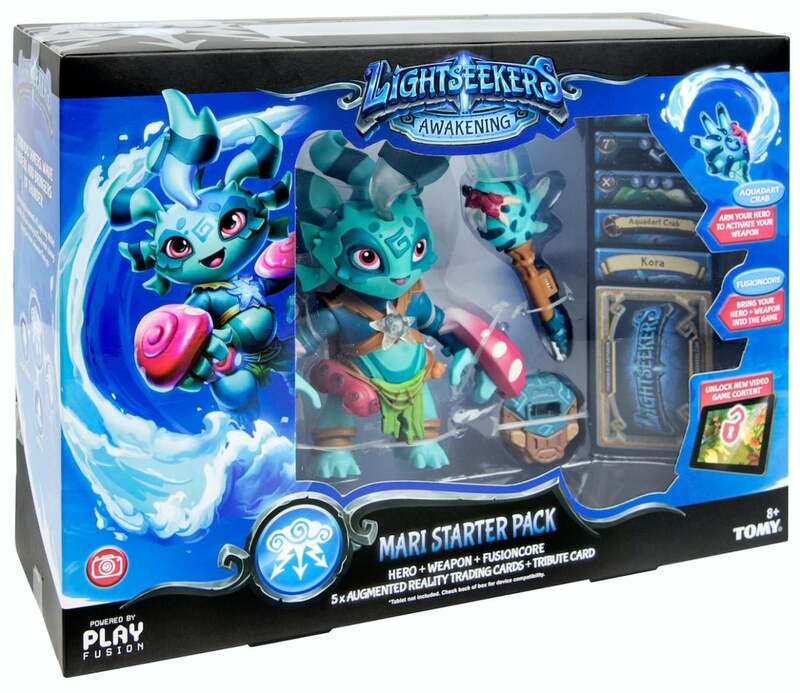 As mentioned, the Lightseekers game is completely free and has been available for weeks before the toys started hitting stores—it’s fully playable without either starter pack, or any of the collectible cards. But even when you do connect the toys, they don’t do a whole lot with the game’s primary adventure. Lightseekers takes the form of an action-oriented role-playing game, as you explore the colorful land of Tantos, battle enemies, and complete quests. The world itself is pretty slick: it’s heavy on bright, lush greenery and honestly isn’t too far off from Skylanders in look. You’ll wander around and chat with the inhabitants, take on missions, and enter battle with various enemy creatures who are trying to take over the land. Unfortunately, it turns pretty monotonous in a hurry. 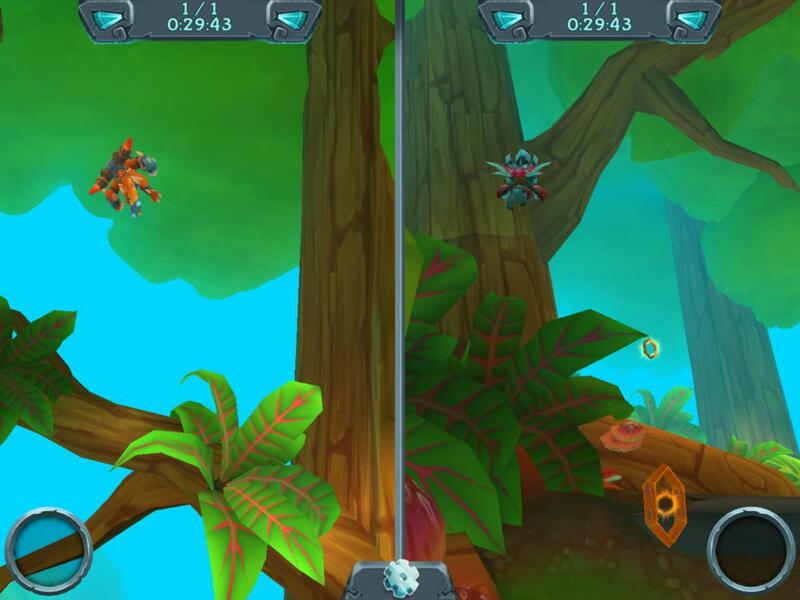 Much of the game revolves around variations of the same couple of simplistic tasks: go collect something and then come back, or go kill X number of enemies in a certain place and then come back. They all feel like fetch quests in one form or another, and if you think they’re pretty unimaginative the first couple times around, just wait until you’ve done them dozens and dozens of times. With Skylanders and Disney Infinity, which were both console games before they came to iPad, you actively controlled a character: you would press buttons to jump and attack, and move with an analog stick, and both games required a physical gamepad. Even with unlockable abilities and customizable combos, the fighting can be pretty monotonous. 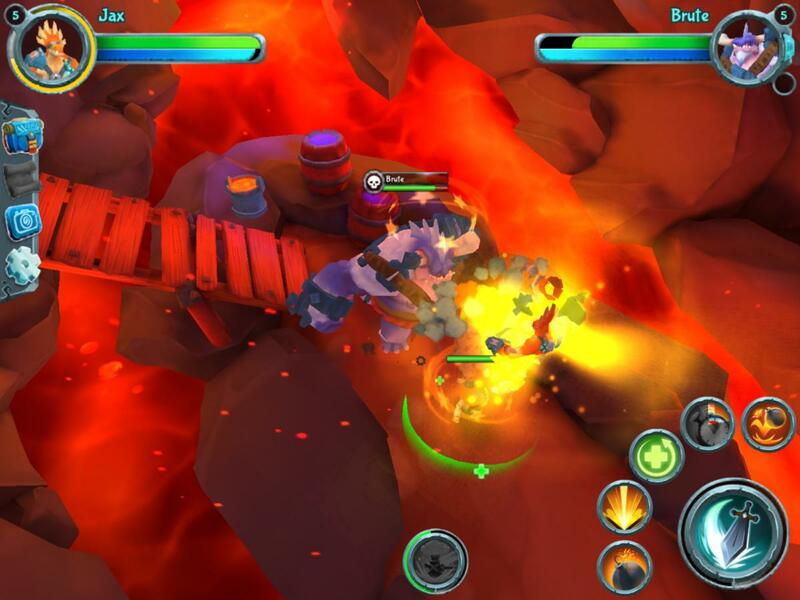 Built solely around touch controls, Lightseekers makes it feel like you’re tossing out commands to a character instead of really getting into the action yourself. You can use a virtual movement stick if you want, but basic combat is automated and special attacks come with the tap of on-screen buttons. Lightseekers tries to build up a unique combo system, but the combat simply feels too repetitive and hands-off to be particularly involving. It could also use a bit of refinement as far as how the adventure unfolds and how players are kept heading in the right direction. At some point early on, I must have wandered off of the beaten path, because all of the enemies around me were massively overpowered and I kept getting killed. It took a while to find my way back to the areas of the world in which I could ably explore, and all that time in between was extremely frustrating. If that happened to me as a lifelong, hardened game player, then I imagine some kids might get totally lost. Some clever gating of areas and objectives might help avoid that issue. While the toys do indeed connect to the game, they mostly just sit there once you’re playing—at least in the main adventure. You can plug in the included weapon to activate the same one in the game, which usually provides a pretty powerful perk, but then your toy just hangs out while you interact with the screen. It’ll comment here and there as you enter new areas or trigger events, and at one point, its spoken instructions helped me solve a simple puzzle. Still, given how robust these toys are, I’m surprised at how limited the in-game interactions are. But then there are mini-games, and this is where the toys themselves really show some connected potential. For example, you can soar through jungle tunnels to collect coins or race against the clock or a friend, and the motion-sensing toy itself is your controller. That’s right: you’ll literally move the toy around to snag more coins or avoid obstacles. Amusing split-screen battles turn your toy into a motion controller. It’s exactly the sort of thing that kids would get into, and it’s really an area that PlayFusion should consider exploring further. Right now, the mini-games are short, slight diversions, but they let you get physical with the toys and really amp up the connectivity. Apparently, you can also fly around in the main adventure, but you have to buy a $15 Flight Pack toy attachment—which seems silly once you realize that the critical motion controls are already built into your $70 toy. 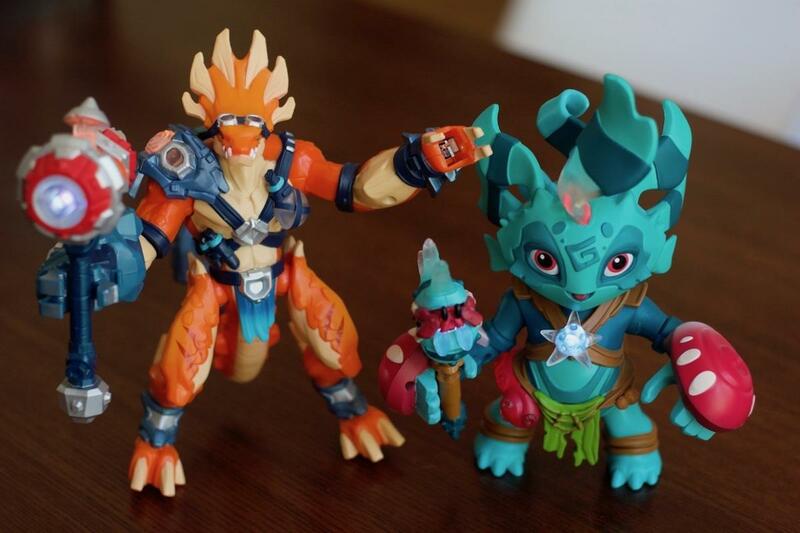 Ultimately, the Lightseekers game itself can be a bit of a dull grind—both on its own and with the toys connected, but the actual figures are stellar. PlayFusion deserves praise for elevating the physical end of the toys-to-life equation, but the balance here is off, since the game itself doesn’t offer the same kind of excitement. Hopefully there’s room to grow, however, whether it’s with this game or a sequel, because they’re onto something with the toys.